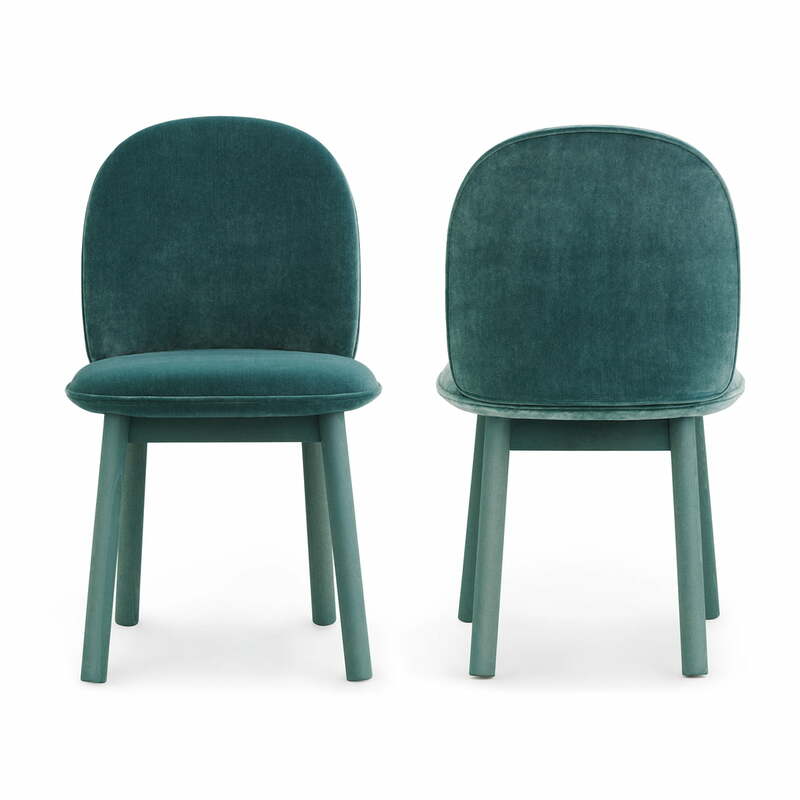 Ace is an upholstered dining chair from the Normann Copenhagen furniture series of the same name. Hans Hornemann developed the furniture, which impresses with its timeless design and practical functionality. The special thing about the chairs: They come in a flat pack, making them easy and resource-saving to ship and at the same time easy to dismantle and reassemble. Ideal for moving and for the modern nomads of today. 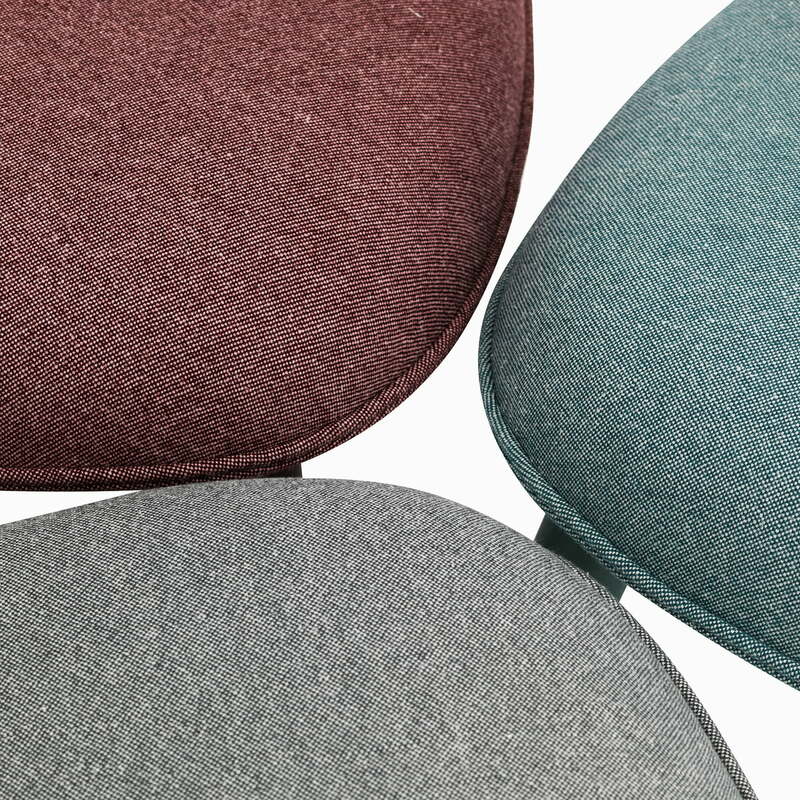 The chair is available in different versions with wool, velour or leather upholstery. 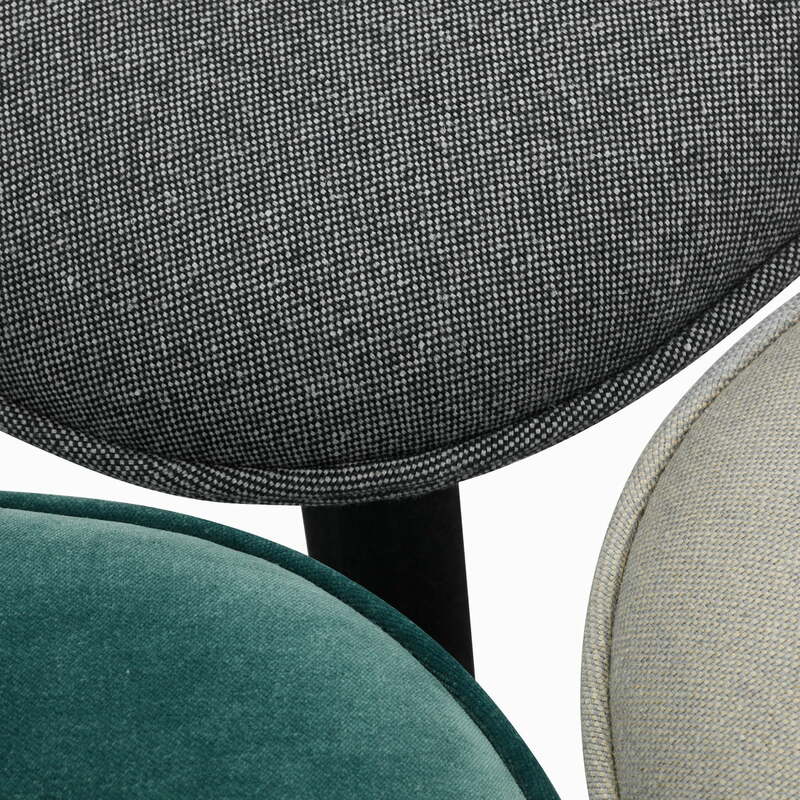 Depending on the material and colour, the chair looks modern, classic or retro. The base frame is available in wood to match the respective colour and upholstery. 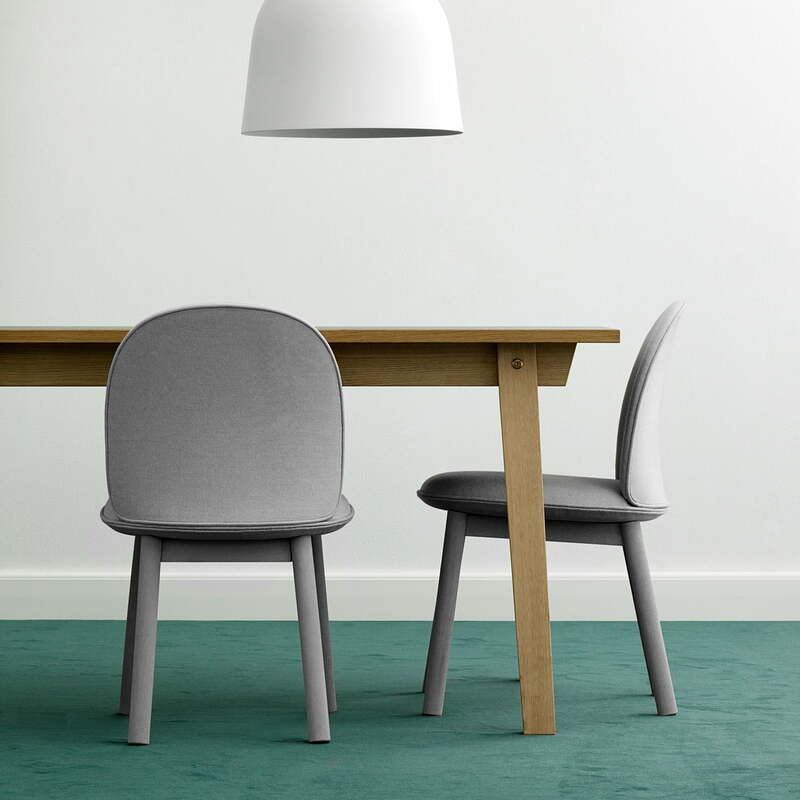 Colour-coordinated with each other, this results in a harmonious interplay between the two elements: seat shell and base frame. 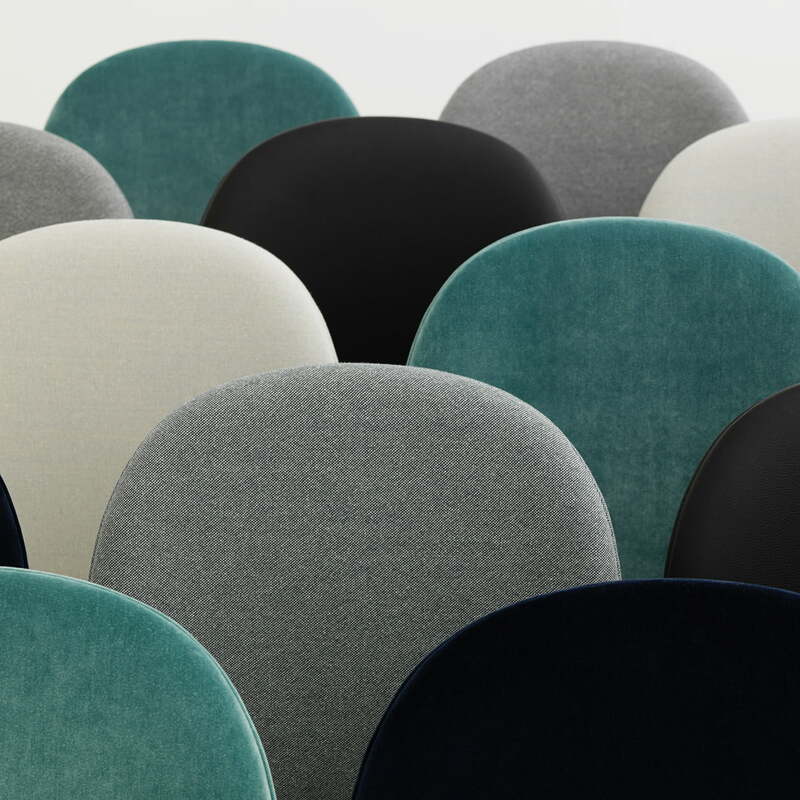 Thanks to high-quality upholstery, the Ace chair from Normann Copenhagen is not only a visual enrichment, but also impresses with its special comfort. The unobtrusive design without armrest can also be slid under the dining table to save space - ideal for smaller living areas with less space. 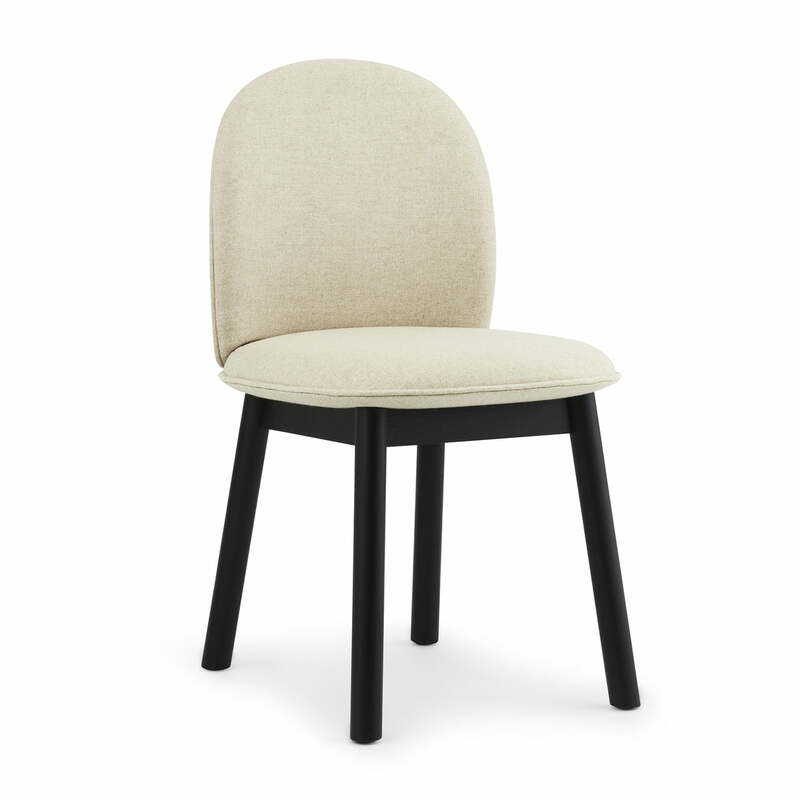 Isolated product image of the Ace Chair by Normann Copenhagen with an oak base in the colour black and the Main Line Flax (Upminster MLF 20) cover in beige. 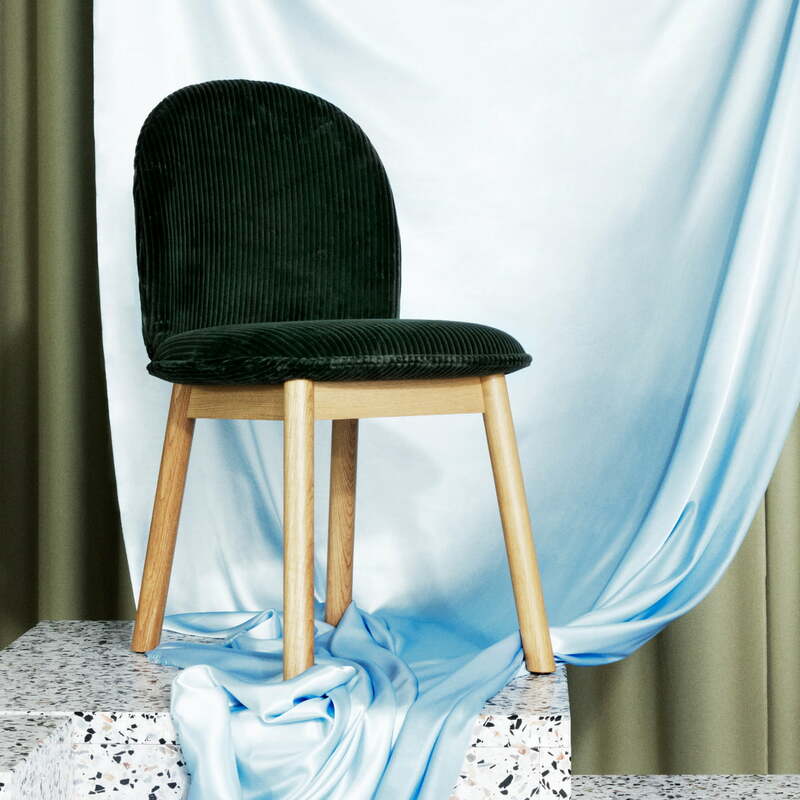 Isolated product imag of the Ace Chair by Hans Toft Hornemann for Normann Copenhagen with a four-legged base made of oak wood and the Cord Uno (39) cover in green. 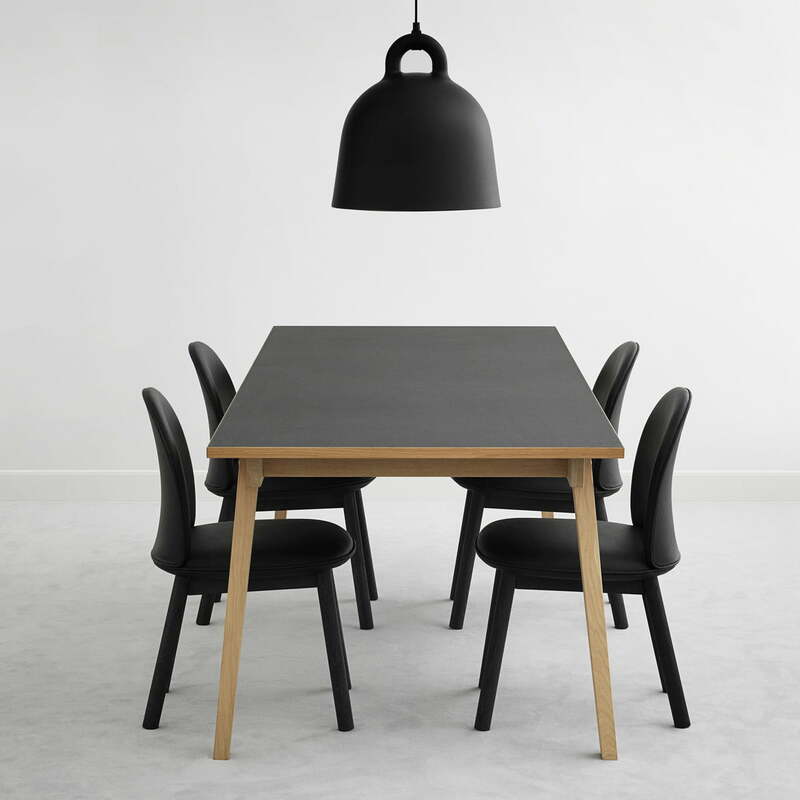 Lifesstyle product image of the Ace Chair by Normann Copenhagen in oak / Cord Uno (39). 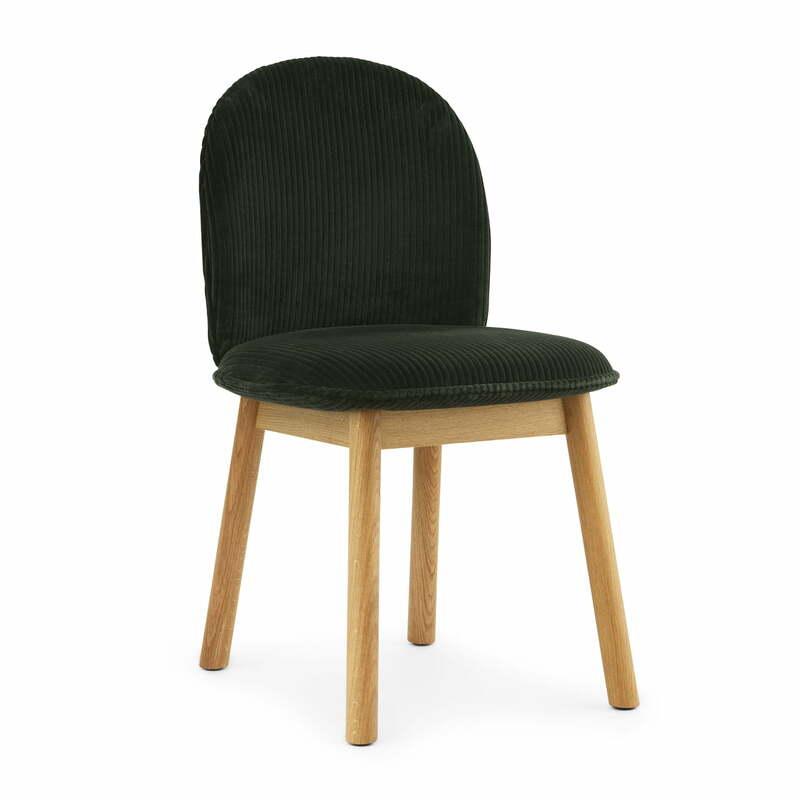 Ace is an upholstered dining chair from the furniture series of the same name by Normann Copenhagen. 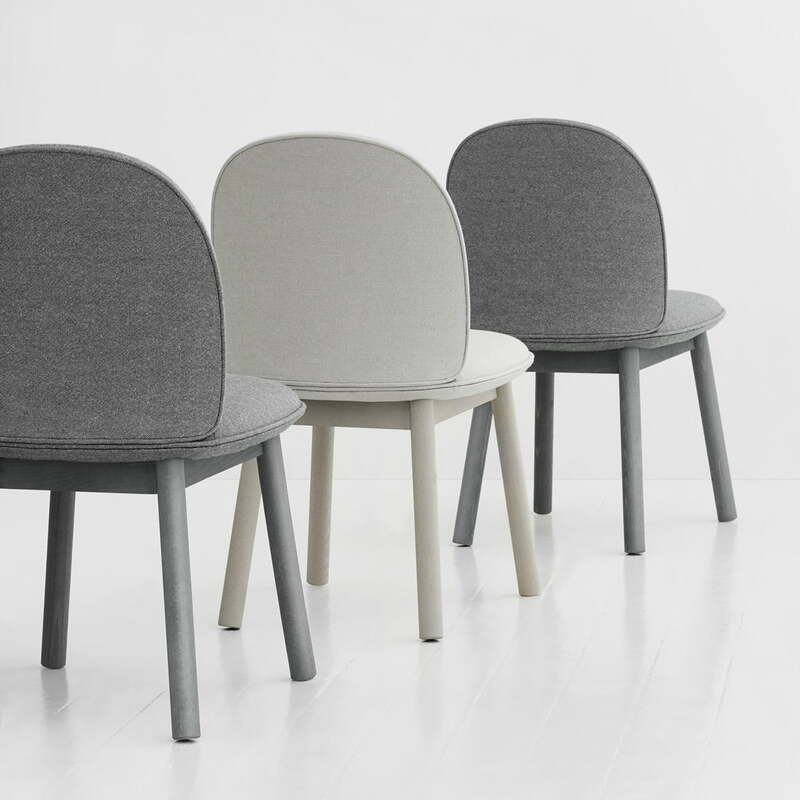 Group image of three Ace Chairs with the fabric Nist in different shades of grey by Normann Copenhagen. Nist is made of a weaving technique, with 52% linen inwrought in, which ensures the natural mottle of the fabric. Stylish dining table and living room - with the Ace Chair with the fabric Nist in grey, the Bell Pendant Lamp in white and the Slice Dining Table design moves into your home. 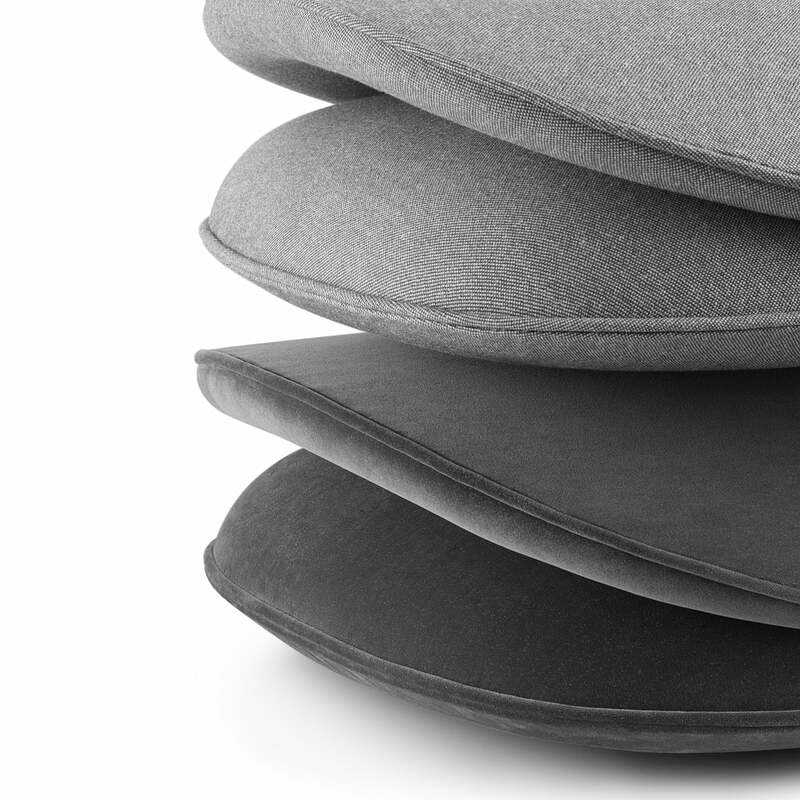 High-quality furniture by Normann Copenhagen.